HOLLYWOOD, Calif. - Feb. 18, 2019 - PRLog -- 29 networks and 46 reality production companies are represented in this year's nominations. Leading the pack with 5 nominations is VH1's Emmy-award winning RuPaul's Drag Race followed by a four-way tie with 4 nominations each: NBC's American Ninja Warrior, CBS's Big Brother, Discovery's Gold Rush and Animal Planet's Pit Bulls & Parolees. Regarding network nominations, NBC leads the pack with 16, CBS has 13, VH1 claims 10 and BRAVO with 8. A. Smith & Company lead the production company nominations with 12, followed by Fremantle Media and Fly On The Wall Entertainment tied with 11 nominations each. Some of the most notable winners over the awards' history have been Leah Remini, recipient of "Reality Queen" for TLC's It's All Relative and "Best Host" for A&E's Scientology & The Aftermath; Six time Emmy-winner for HBO's Veep, Julia Louis-Dreyfus, for "Reality Crossover Talent" for Crackle's Comedians in Cars Getting Coffee; Gordon Ramsay receiving "Best Host" for FOX's Hell's Kitchen and MasterChef, and RuPaul winning "Best Host" over President Donald Trump for VH1's RuPaul's Drag Race. Discovery's The Deadliest Catch has won "BadAss Crew" all 5 years and holds the longest winning streak in any single category. Animal Planet's Pit Bulls and Parolees received the win for "Feel Good Show" the past four years in a row and Abby Lee Miller of Lifetime's Dance Moms who won "Best Villain" four times in a row was defeated by a tie last year between Scott Disick of E! 's Keeping Up With The Kardashians and Chad Johnson of ABC's The Bachelorette franchise. Many pioneers in the reality space have also been given special awards for their work including Celebrity Big Brother star Omarosa Manigault-Newman, accepting on behalf of The Apprentice franchise, The Hills stars Heidi & Spencer Pratt and America's Next Top Model's original judge, Janice Dickinson. Previous hosts of The Reality TV Awards have been Michelle Visage of RuPaul's Drag Race, Matt Iseman of American Ninja Warrior and winner of The Celebrity Apprentice, Jonathan Bennett of Cake Wars and current season of Celebrity Big Brother, and Melissa Peterman of Worst Cooks in America: Celebrity Edition. 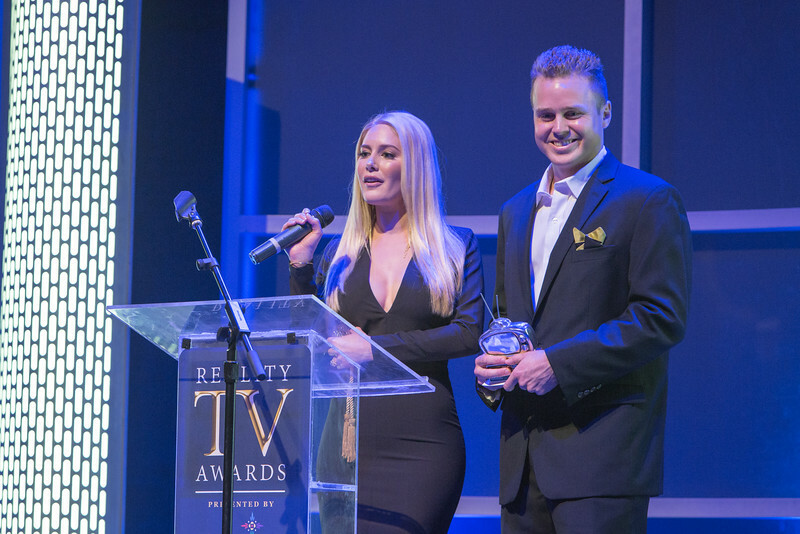 Executive Producers Kristen Moss and Andrew Ward started The Reality TV Awards in 2011 to support, examine and redefine the art of reality in media by rewarding excellence, encouraging experimentation and recognizing that the public is the heart of our industry. The Reality TV Awards embrace the spirit of fun and camaraderie which is an inherent part of what makes this industry great. The awards value the rich diversity of programming that puts reality on the leading edge of entertainment. OFFICIAL NOMINEES for the 3rd Annual Reality TV Awards Announced!